A sunny terrace part shaded by overhanging vines; views of endless lavender fields; a business that allows you to spend more time with your family and friends; and a Provençal lifestyle where bustling markets and sipping a cold glass of your own wine each night is part of daily life. 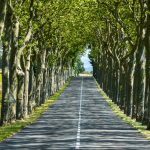 Investing in a vineyard property in Provence can bring you a lifestyle that you have always dreamed of. 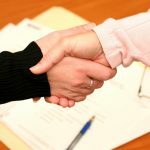 If you are looking for property in Provence, here are six suggestions to help you with your search. 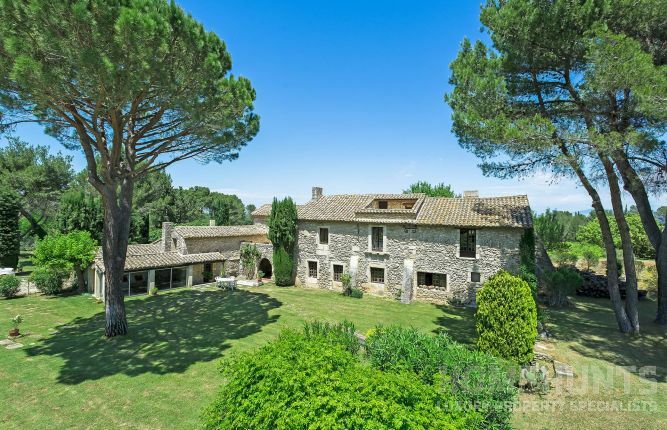 This exceptional four-bedroom “mas” property near Saint Rémy de Provence – one of the most coveted places to live in Provence, as highlighted in Home Hunts’ property report INSIDE FRANCE – offers a way to live the fairy-tale Provençal lifestyle. 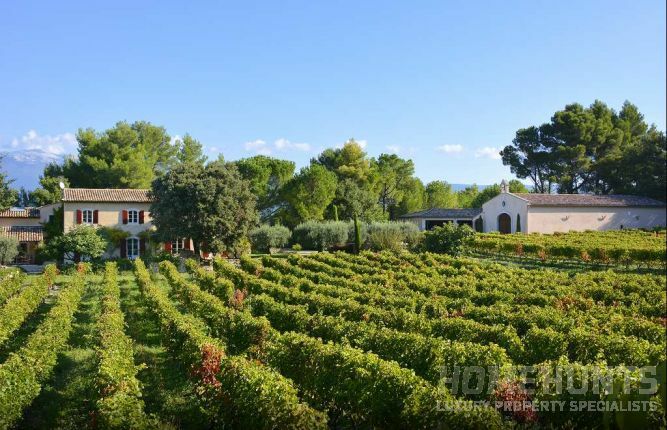 With incredible views of the Alpilles, lush gardens and 40 acres of land that include 21 acres of classified vines, this property is in a rare and beautiful location. Further highlights include a large swimming pool, with an “abri” cover that extends the swimming season, and a caretaker’s house. The price is available on application. 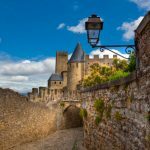 Classed as one of the most beautiful villages in France, Lourmarin is a lively village that is one of the most sought-after locations in Provence. Positioned close to the centre of the village, this magnificent seven-bedroom vineyard estate offers views over its 46 hectares of land, which includes vines, olive groves and almond orchards. Built in the 18th century, the inner courtyard, with its original features and vine-covered archway, oozes old-world charm, while the park itself is planted with fountains, waterfalls and ornamental lakes. The 18-hectare vineyard is classed mostly as AOP Luberon and the winery was well renovated just three years ago. 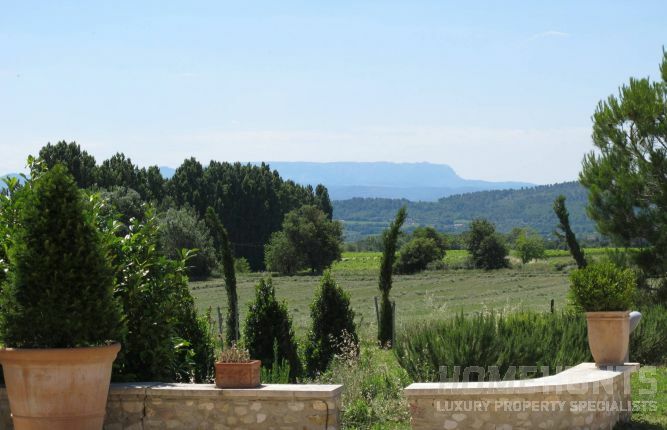 A must-view property for those seeking to buy a vineyard property in Provence, the price is available on application. 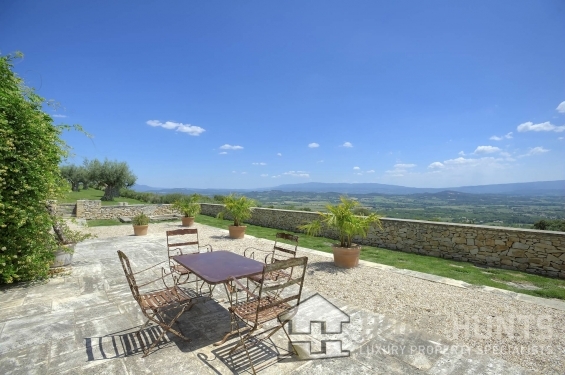 With sensational views of the Vaucluse mountains, this attractive four-bedroom property – which lies south of Mont Ventoux – has been completely renovated to an extremely high standard. 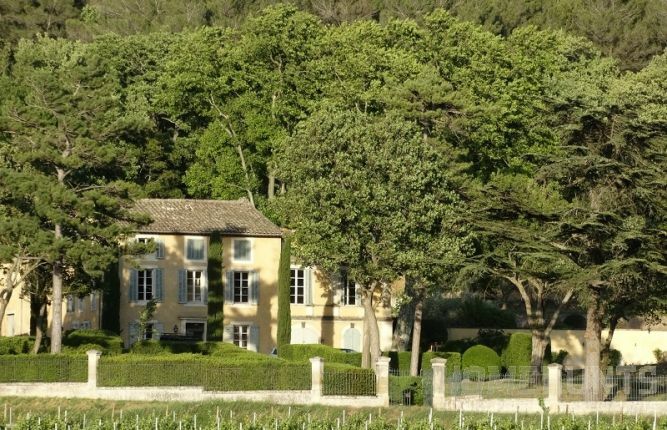 Set of 14 hectares of land, comprising ten hectares of AOP Ventoux vineyards, the landscaped gardens and vast swimming pool create luxurious and relaxing surroundings. The wine cellar has been perfectly optimised and comes with well-maintained equipment offering a solid business opportunity to a buyer wanting to work in the wine business. 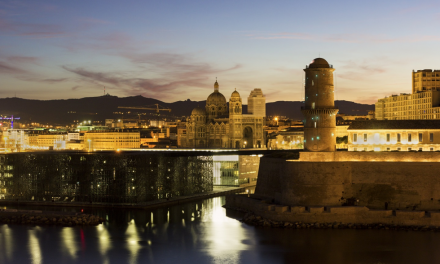 The property has been valued at €3,100,000. This stunning Italian bastide is located in the Haut Var, the northern half of the Var department not far from the famous Gorges du Verdon. 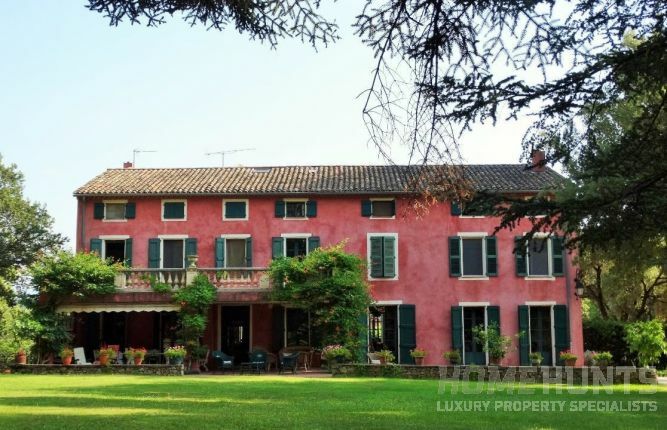 Situated in the heart of 30 hectares of woodland, vines and olive groves. The domain is approached along a private road bordered by oleanders and umbrella pines. 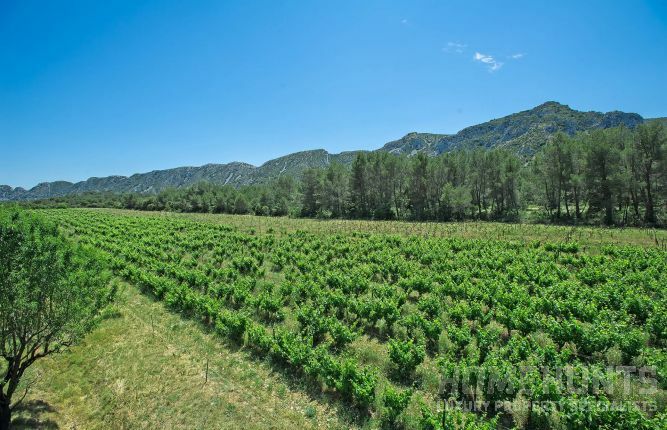 Around three hectares of vines are classed as AOP Côtes de Provence and the property also offers a stable, paddock and guest apartment. 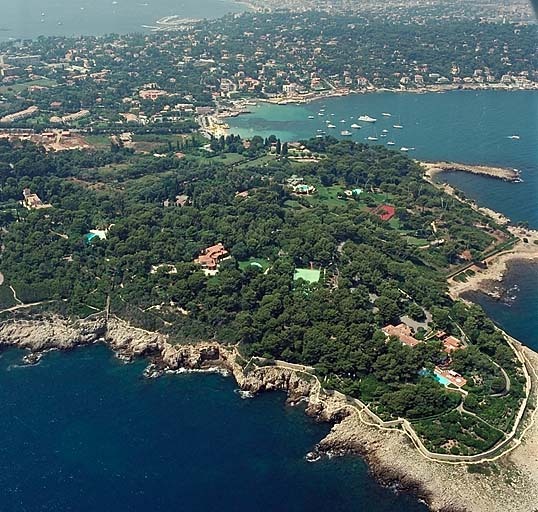 It is on the market for €2,400,000. 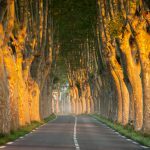 Cucuron, a pretty village in the heart of the Luberon, is one of the most popular areas to buy property in Provence. 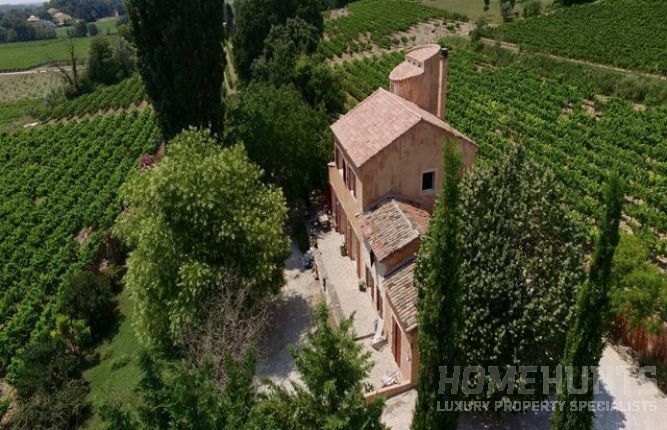 This tasteful seven-bedroom winery has been completely renovated and lies on 60 acres of land with views over the Luberon. 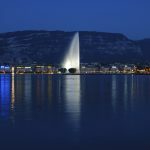 It includes a vineyard, olive groves and a small lake, but also offers the opportunity to acquire additional vineyards. The price is available on application. 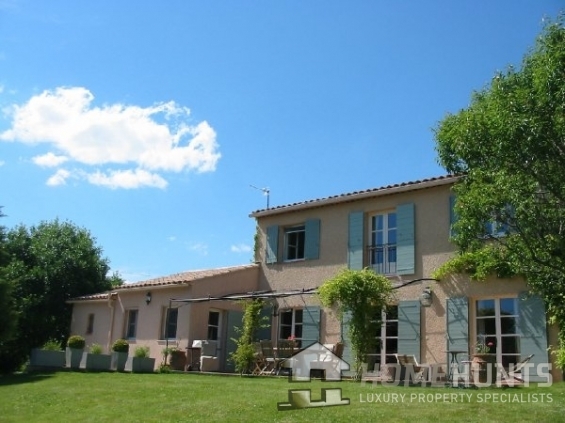 Located south of Lourmarin and around 20km north of Aix-en-Provence, this charming five-bedroom Provençal “mas” farmhouse sits neatly among two hectares of vines. An attractive swimming pool area with adjoining summer terrace makes this a beautiful location for al fresco summer dining . The oppen plan living areas inside mean it is a delightful place to spend time all year round. Priced at €890,000, interested buyers should view the property as soon as possible.